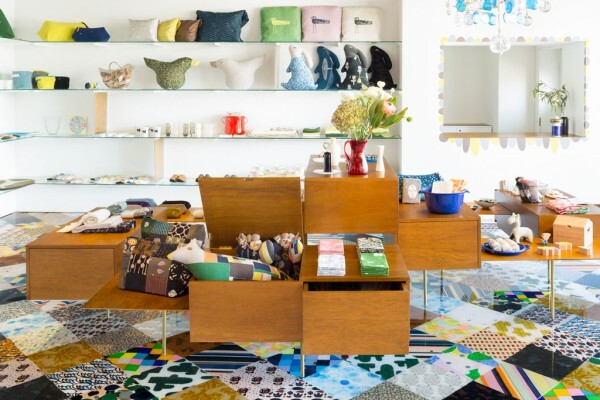 minä perhonen is a fashion brand and we performed the interior design for their new directly-managed shop minä perhonen koti. 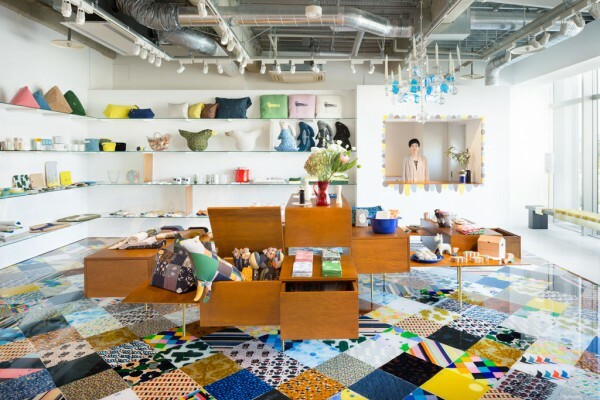 The shop mainly showcasing household goods is found on the 1st floor of the Shonan T-SITE complex, where many tenants are located around a Tsutaya book store. 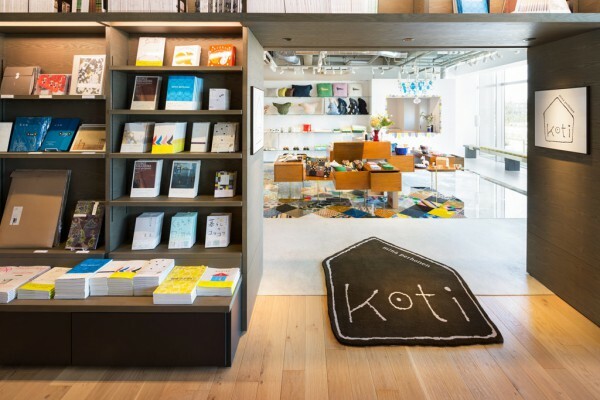 The name of the store "koti", meaning house in Finnish, derives from the fact that it handles everyday life items, such as cushions and tableware. 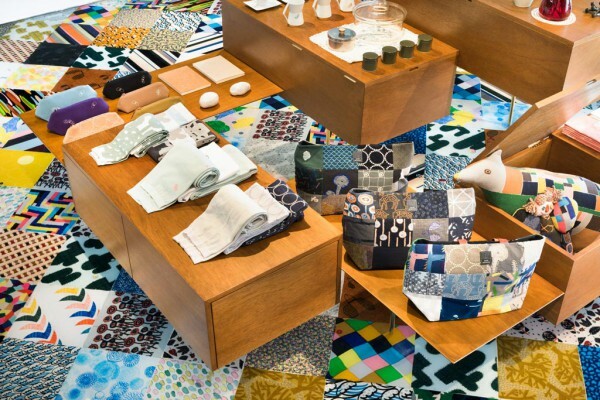 Thus, deliverables included a space to carefully present small objects and showcase product line-ups with color variations. 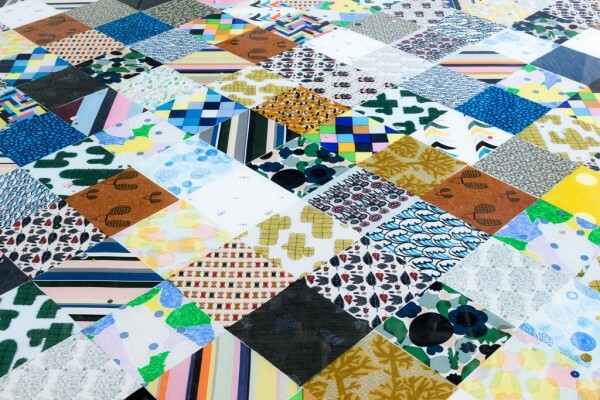 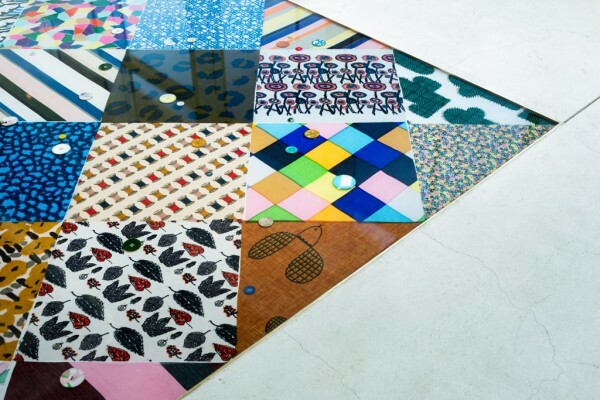 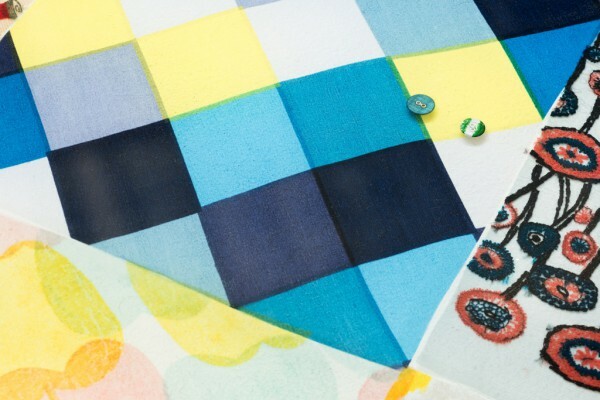 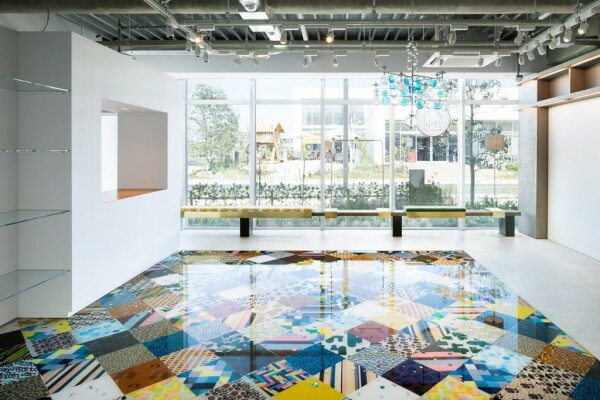 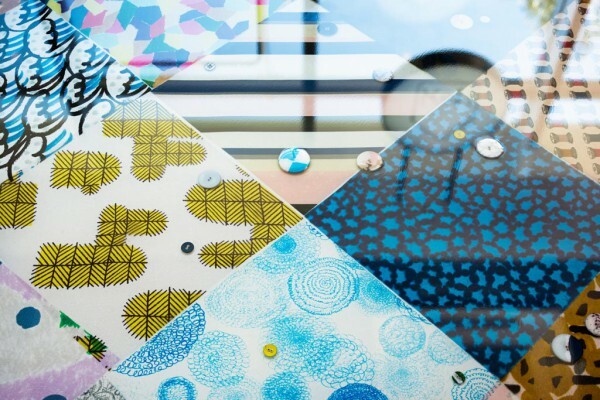 The store floor covers a square lot and is covered in minä perhonen's colorful textiles and buttons and fixed with epoxy resin, which invites visitors to look at each one of them. 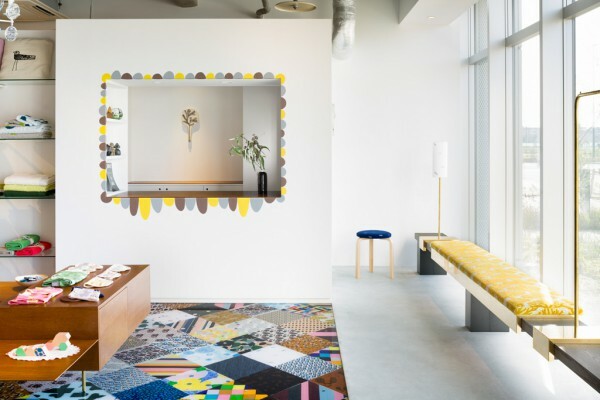 We designed the island of fixtures found at the center of the store as to look light and appear to hover above the ground by using brass piping legs and varying the height of the compartments, to allow customers to look at the textile-covered flooring below. 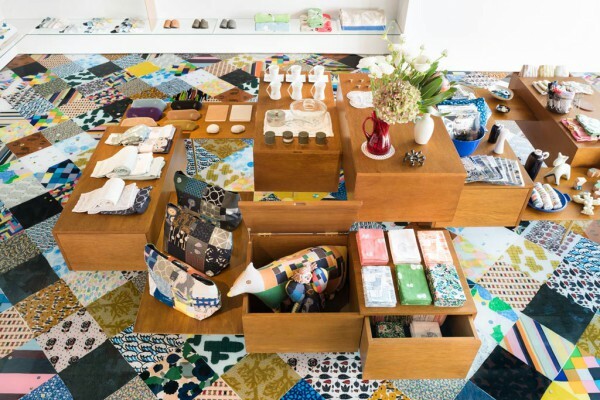 These compartments allow for a variety of displays adapted to each type of product, and can be used with the drawers drawn and the tabletop lid open. 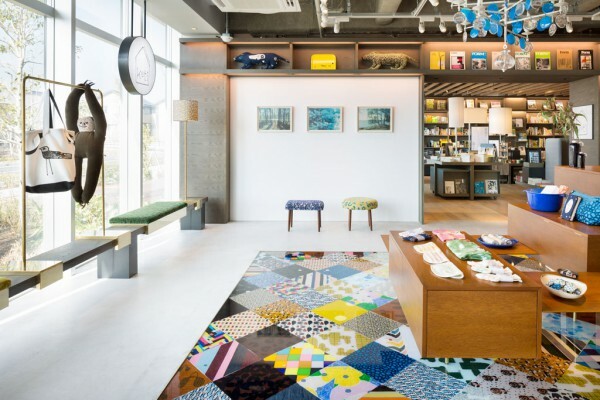 Moreover, in order to create a background for products on display, we painted the two back walls white and dressed them with glass shelves. 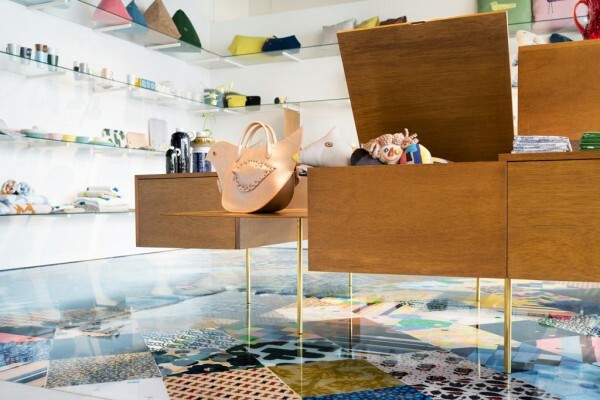 Also, mobile partitions can be fixed to the steel pipes supporting the shelves to organize the layout of products placed on a single continuous shelf. 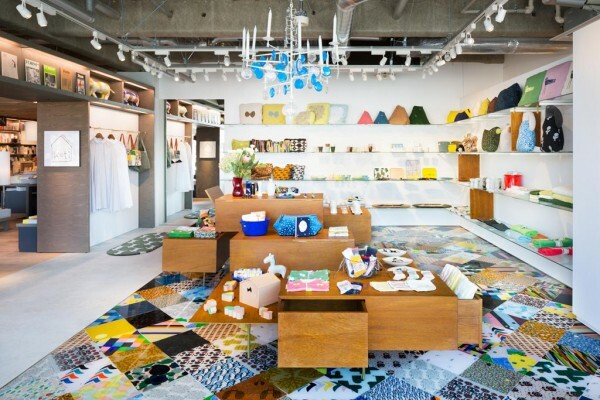 We sought to create a space in which persons of all ages, such as Shonan T-SITE shoppers, find it easy to set foot, while communicating to them the world view put forward by minä perhonen koti.